A guitarist appears to her side like a genie appearing from the Skoog. She rocks alongside the guitarist whose movements replicate her playing. An animated moustache grows on the girl’s face. They’re scratching a hip-hop version of our track on his Skoog. The table animates as turntables and speakers appear, an animated MC appears who beat-boxes along as Salt and Peppa enter the stage. The music reaches a crescendo as our boy throws a record towards the screen. With every press a funky chicken appears, whose beak hoots along with the sound. We zoom out, instantly an animated carnival scene bursts into life around him and he’s riding on a Carnival float. The funky chicken gets in on the action by putting on carnival peacock feather outfit. A coconut plays steel drums as giant birds, flowers and tubas parade alongside him. A voice over says Play the music you love, straight out the box. Skoog - the musical instrument for everyone - unleash your inner rockstar! Skoog is a tactile musical instrument that’s unique in its level of accessibility. Tap it, twist it or squeeze: this new music accessory for iPad opens up a world of musicplay to everyone. No matter what your skills, abilities or musical talents, Skoog is easy to use — keeping children engaged, while giving them the confidence to express themselves. For many people with disabilities, one of the greatest barriers to making music is the dexterity required to play a more traditional musical instrument. Skoog removes that barrier. Now anyone unable to play traditional instruments can join a band and take part in a range of music-making activities. 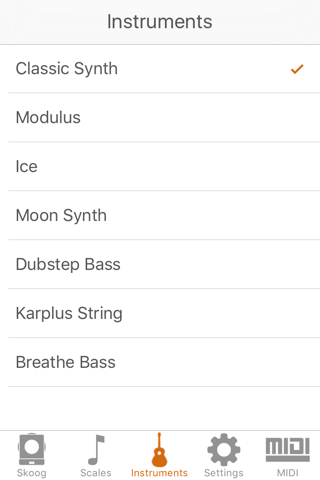 You can jam with your favourite tracks instantly. Skoog connects wirelessly to iPad or via USB to your Mac using the free Skoog app. 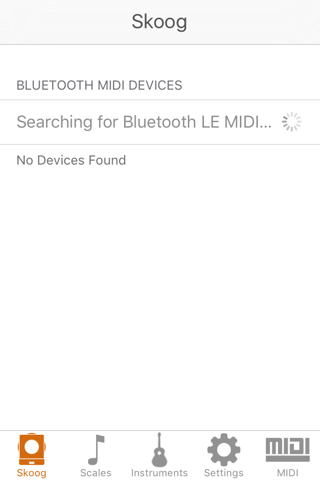 Easily connect to GarageBand, your iTunes library or music streaming service, and play along with the music. Just choose a song and get playing. 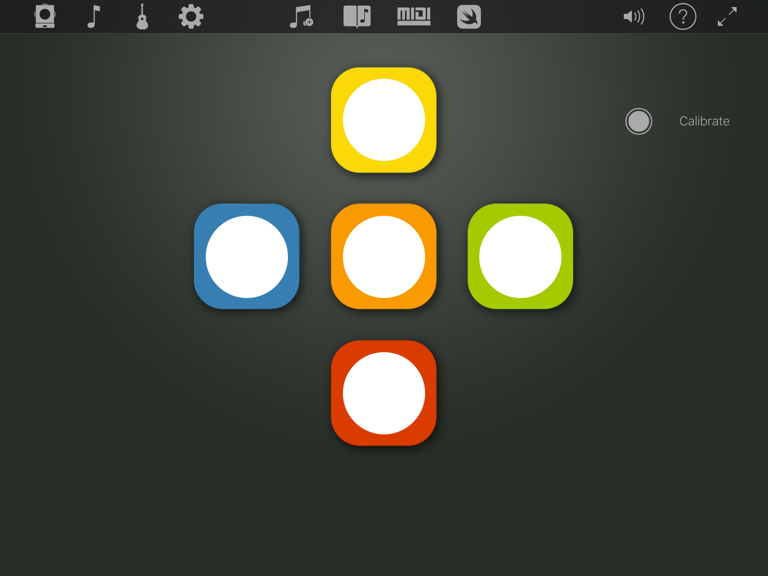 There is so much you can do, explore and play with Skoog and its supporting apps. Create your own music using the sampling app Skratch or learn how to code, drive and control robots using Skoog in Apple Swift Playgrounds. For users with speech or language barriers, you can even turn your Skoog into a Switch Control and Communication aid with Skoog Access. 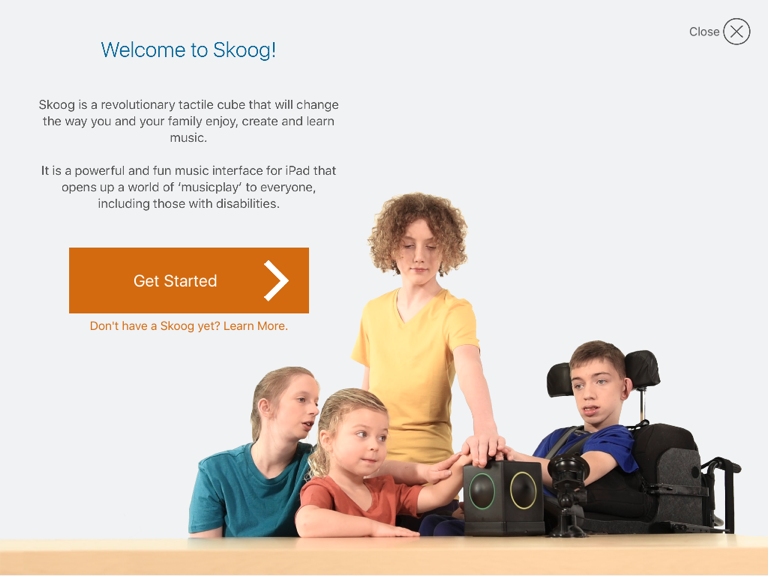 Skoog’s universal design enables fun, accessible, expressive music-making for children, parents, teachers and families — including those with disabilities — within just a few minutes of it being taken out of the box. It’s not just sensitive to how hard the Skoog is being touched, but where and how it is being touched, transforming the things you do into meaningful and expressive sounds. Adjustable sensitivity means that you can play Skoog intuitively with any part of your body: hands, elbows, knees or head. Skoog’s sensory-friendly tactile nature helps greatly in developing new skills and promoting physical interaction with technology. Battery life: More than 10 hours of continuous play. Charge Time: Approximately 3 hours. The Skoog is fantastic, it has so many uses and is great fun for the whole family! Great with GarageBand and Logic X! Is this review useful?Fantastic Product. More Than Meets the Eye - This Think Has It All! I had first borrowed a Skoog to see if my students would like it. No, they didn't like it, they LOVED it! Some of my students are tactile defensive and there is I had first borrowed a Skoog to see if my students would like it. No, they didn't like it, they LOVED it! Some of my students are tactile defensive and there is something about Skoog they enjoyed. It's soft and not cold like some metal equipment. This company has done a lot of thinking about how a simple five switch device can be used. 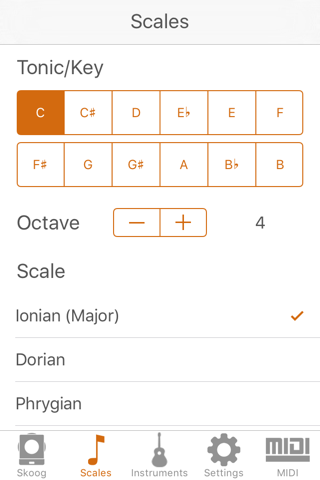 Basically you can make up your own tune or play along with your favorite tunes. 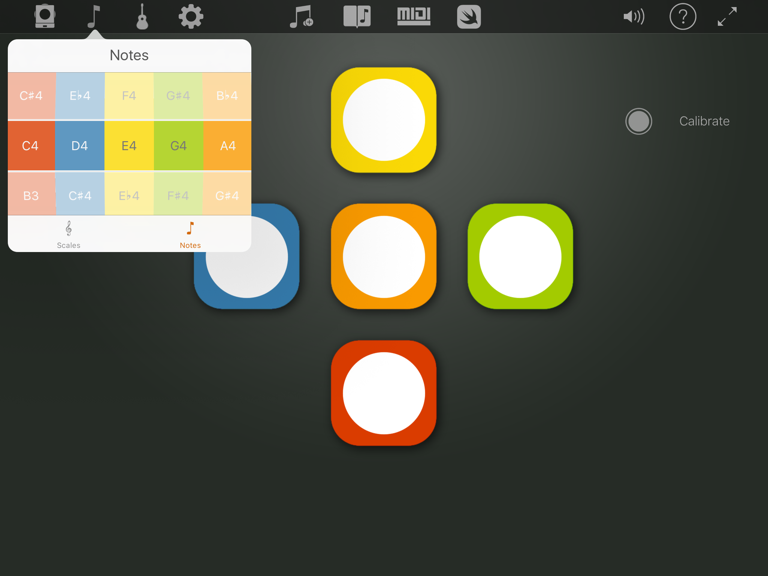 If the sounds available aren't enough, Skoog has companion apps that can provide more sounds or you can even very simply add your own sounds with the app Skoog Skratch. Not convinced yet? 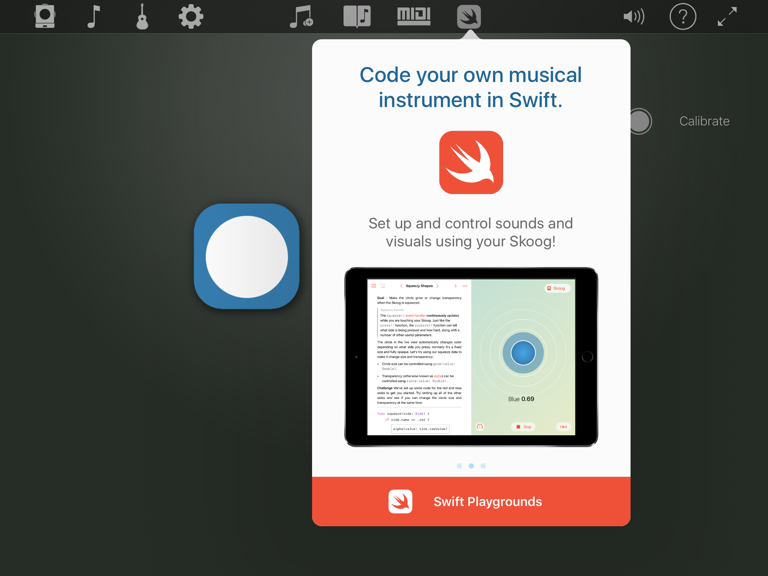 It has an app in Apple's Swift Playground where one can lean about coding that changes Skoog's musical elements. Skoog is great for teaching music because it works via Bluetooth, no wires and keeps a charge through the day. It can be used as a solo instrument or in ensemble. For my special needs students, because it doesn't have complicated buttons or switches to confuse or distract them, it is easier for them to stay on task. I even Velcro a picture of the instrument a side plays, a note color, or even the word or number I've programmed into it. Imagine you reading one of those cool children's books that has a refrain part that one usually sings. With Skratch you can record it with the touch of one finger and then automatically your child can actively participate in reading time. Who knows, it may even help them to read icons or words. It certainly will help them follow directions and learn to take turns so they will be more successful in other endeavors. I've only share a tiny bit of the Skoog repertory. Go search Skoog on line and check out the details on the website. 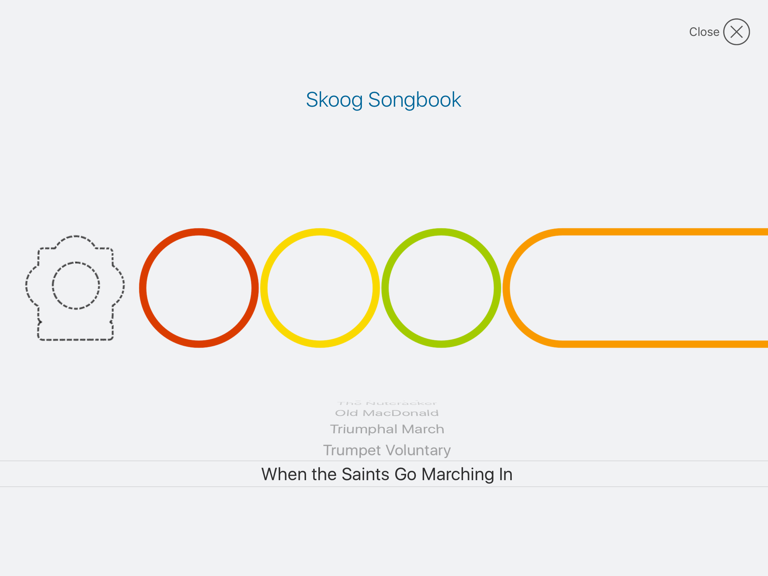 Skoog is limited only by your creative use of it. Skoog is tough and survives drops and whacks. Skoog is Fun! Is this review useful?More Than Meets the Eye - This Think Has It All! The Skoog makes music and coding accessible to all! As a music educator, I have found the Skoog to be an invaluable musical instrument for many of my students, including those with the most severe learning or phy As a music educator, I have found the Skoog to be an invaluable musical instrument for many of my students, including those with the most severe learning or physical challenges. The goal for all of my students is for them to participate successfully in classroom ensembles and yearly performances. Without an instrument like the Skoog, that would be impossible. However, beyond my goals for my students, is the clear and palpable joy many of them express when discovering that they can make music simply by pressing or squeezing this very visually and tactilly appealing device! 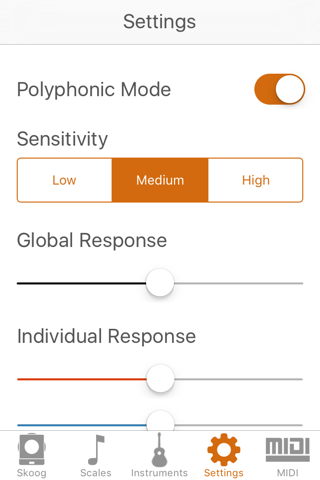 It works very simply and seemlessly with the Skoog iPad app, as well as many other music apps, giving the user an unlimited pallet of sounds with which to contribute to any ensemble. Along with the ability to learn coding and further control and expand the capabilities of the Skoog via Swift Playgrounds, this device is a great plus for any age student of any ability. Is this review useful?The Skoog makes music and coding accessible to all! Love this product. 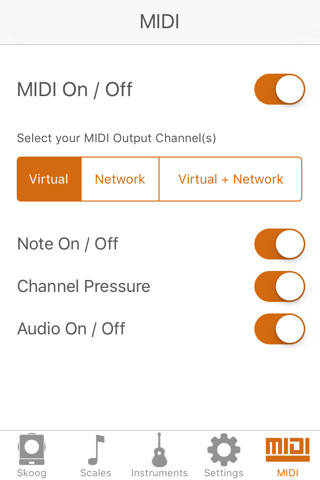 Easy to use and had my kids playing music in minutes.